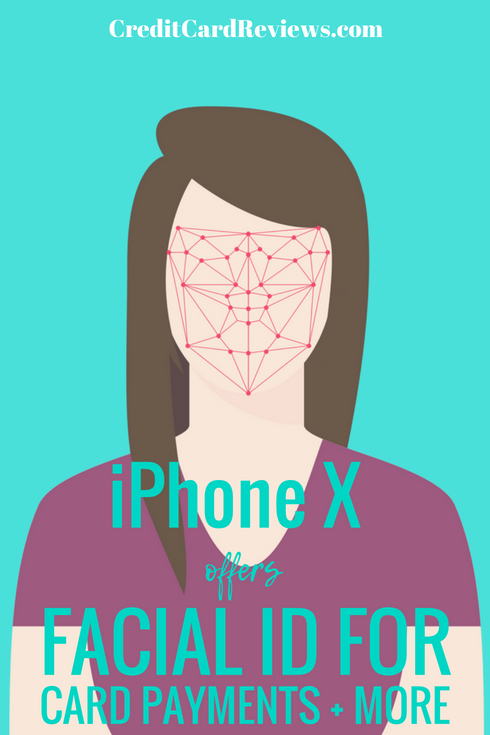 The new iPhone X comes with an exceptional feature called Face ID that can be used in place of the older fingerprint scanner of previous phone models. Face ID projects tens of thousands of tiny infrared dots onto the user’s face. 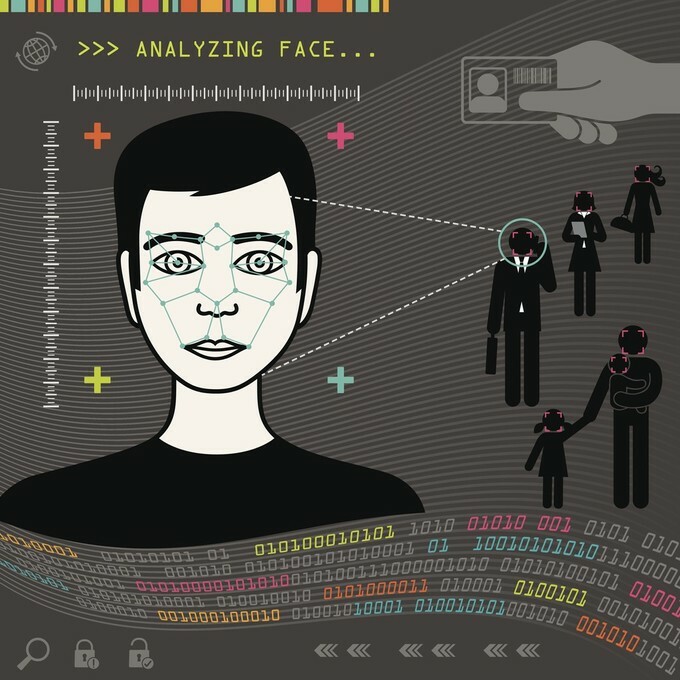 If the technology recognizes the face, it will unlock the phone, authorize a payment, and more. Apple says the possibility of an unauthorized person fooling the technology is about one in a million. Touch ID, the old fingerprint reader, had a failure rate of about 1 in 50,000. Apple admits that identical twins and children under 13 have higher failure rates with Face ID. Despite some inherent hazards, Face ID offers convenient services for financial transactions. For instance, the technology can be used with Apple Pay to authenticate a purchase. To perform this function, simply double-click the power button on the iPhone X. If you want to use the default card, you don’t need to do anything else. If you wish to pay with a different card, just tap on the default card, then choose an alternate. At this point, you want to look at the iPhone X screen. It will scan your face to make sure it is actually you who is using the phone. Once this verification step is complete (it takes less than a second), you’ll see an icon on the screen that says “Hold Near Reader.” Now simply move the phone near the NFC contactless point on the terminal near the cash register and the payment will be quickly processed. It’s as simple as that. No more fingerprints, signatures, or PINs. Remember to add any debit or credit card you will want to use in a store to your digital wallet. To do this, simply open the Wallet app, click on the plus sign, and scan your card. Keep in mind that not all banks support Apple Pay. To set up Face ID and enter a face scan, simply go to the Settings menu on your phone and select ‘Face ID & Passcode.’ Here you’ll be able to scan your face (you’ll need to do it twice) and enter a PIN as a backup method. Besides everyday purchases at brick-and-mortar stores, Face ID also can be set up to validate purchases in the iTunes, App, and iBooks Stores. In one of these stores you simply need to double-click the power button on your phone and then perform a face scan. Discover Card has incorporated Apple’s Face ID technology on its updated mobile app. Cardmembers can now use the biometric equipment to login to the bank’s app instead of signing in with more cumbersome User ID and password credentials. This new service follows an earlier announcement that the bank’s Cashback Bonus rewards could be redeemed as a statement credit via Apple Pay. If you use Safari on iPhone X to login to financial websites, Face ID can help you do that, too. In the Face ID & Passcode menu, there is an option to turn on Safari AutoFill. Once you do this, you simply need to glance at the smartphone screen after tapping the sign-in field on a financial website. This very convenient feature will also autofill credit card numbers if you wish. In order for these features to work, be sure to have iCloud Keychain enabled. This option can be found in iCloud settings. Password autofill was possible on some previous versions of iPhone. But it wasn’t as quick as Apple’s 10th edition. Face ID is rapid and simple, requiring the user to do nothing other than set up the feature. Apps like Credit Karma that require an additional PIN are handled flawlessly by Face ID as well.